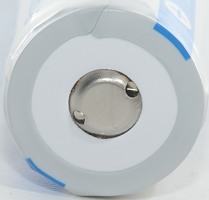 Battery Type: 18650 Rechargeable Li-ion Battery. 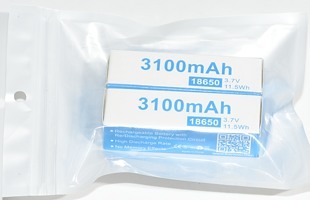 Normal 3100mAh 18650 batteries with protection. 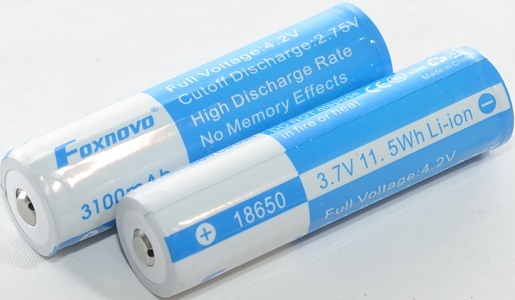 There is fairly good tracking between the cell and good capacity, being protected cells the voltage at 3A is slightly lower than unprotected cells. 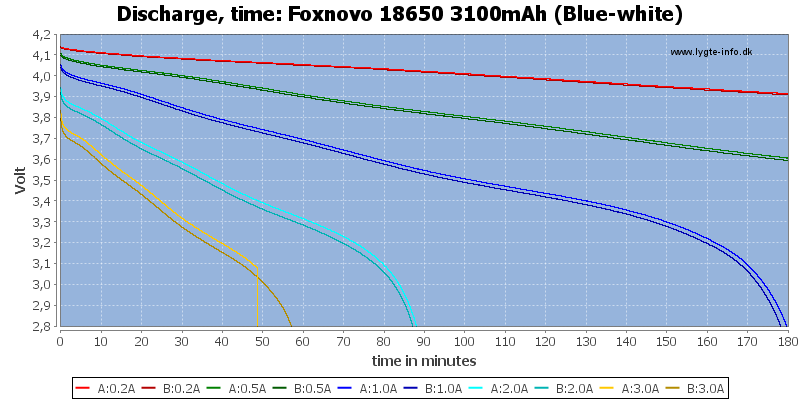 Their overload protection does also trip fairly early, as can be seen on one of the 3A traces. 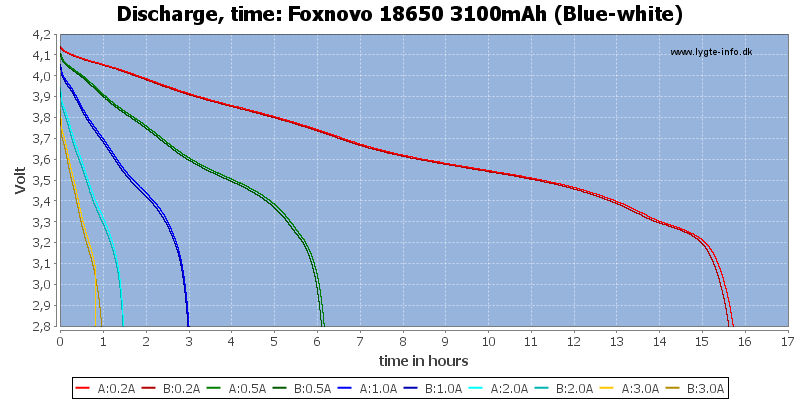 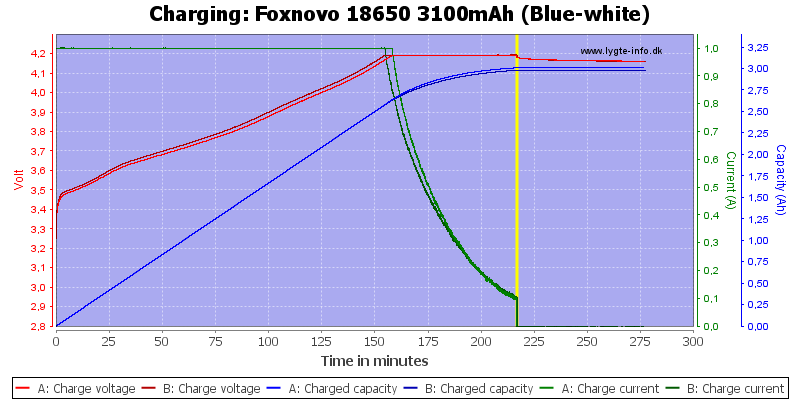 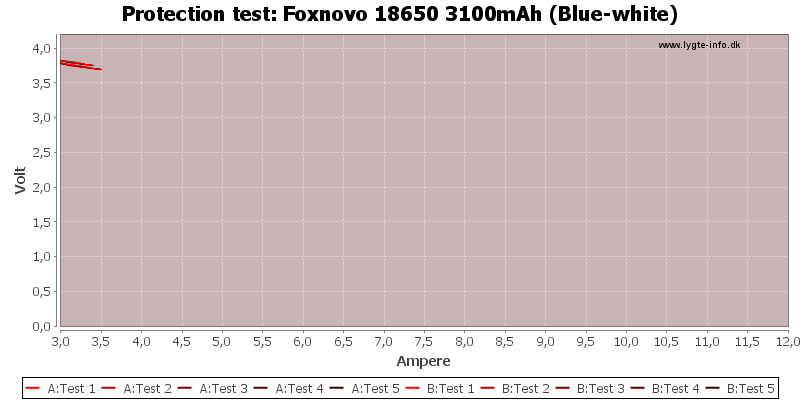 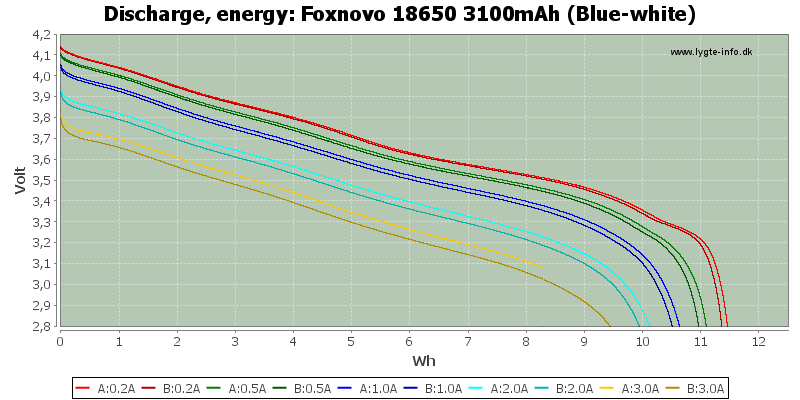 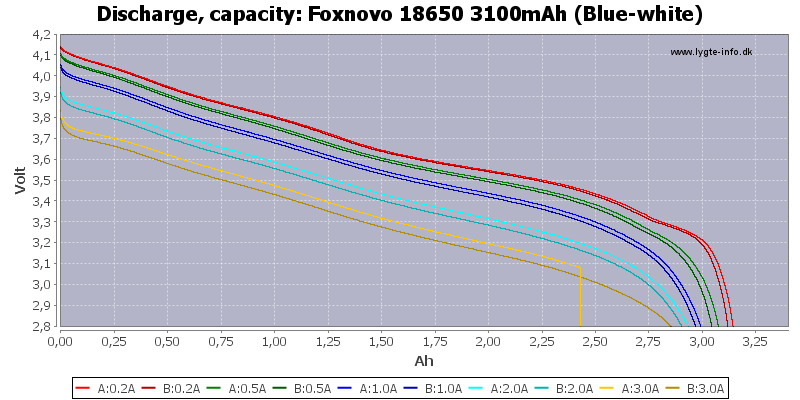 The batteries are fairly standard 3100mAh cells, I could have wished for a few amps more before the protection trips. 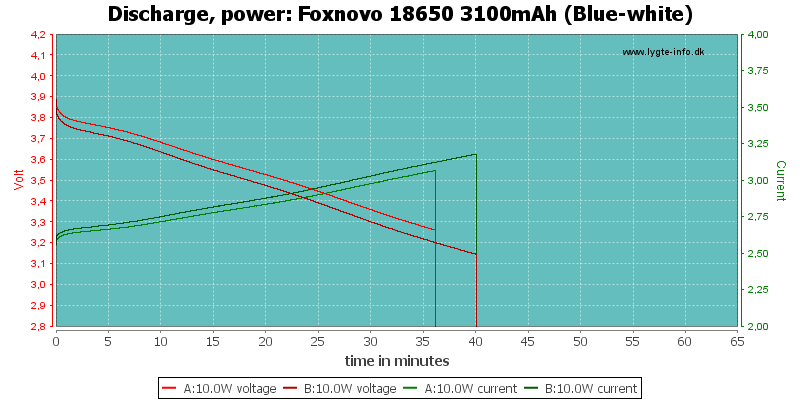 The maximum current is too for low for some high power lights. 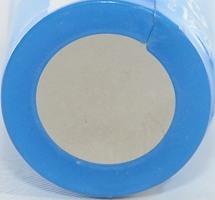 For low current (i.e. 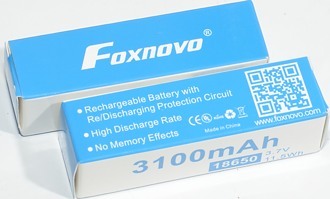 below 3A) they are good batteries.